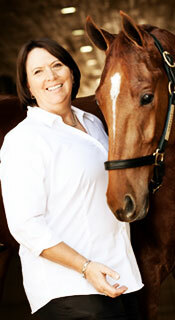 Experience a stable tour with our horse trainer on Saturdays at Cavalli Estate from 11:00 till 12:00. The cost of the stable tours are R100.00 for adults and R80.00 for children and tickets can be purchased in advance from the boutique. Booking is essential. Departing from our world-class equestrian center, you will begin a unique tour of the entire estate, witnessing breathtaking views of the panoramic Helderberg mountains. The carriage will slowly make its way along the Fynbos-lined avenue to your first stop at the estates wine tasting center to collect a bottle of wine from our Flagship range- your choice of either White (Cremello) or Red (Warlord) Blend. A relaxing hour long tour of the farm will be enjoyed as you take in the sights of the stables, our award winning and Green-star rated restaurant, the exquisite gardens designed by Keith Kirsten and our 30 hectares of meticulously farmed vineyards. Powering this elegant carriage is a beautiful chestnut American Saddler. The carriage can carry up to 4 passengers. (3 Adults and 1 child or 2 Adults and 2 children). 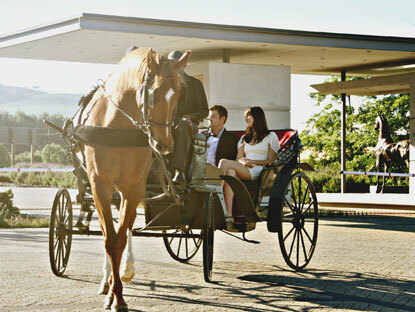 The cost of the horse and carriage ride is R2000.00 which includes the bottle of wine. Booking is essential.